The first virtual coach for canoeists and kayakers, the Motionize Paddle Edge, sitting in a kayak. The days of sports being a fun, free way to pass the time are long gone. From equipment fees to team fees, just about everything sports-related can put a hole in your pocket. Monetary issues affect even elite athletes, especially when they are chasing Olympic dreams. Some Olympians acquire sponsors that pay for training, competition entrance fees and travel costs, but many more competitors have to raise their own funds. 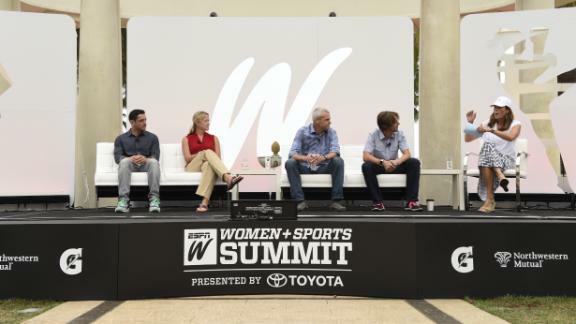 To some, advancements in sports technology and the advent of new devices might seem like just another money-maker in the sports world. In reality, though, some of the devices are proven successes, both athletically and economically. Technology is breeding more efficient competitors, and it has been the answer to many athletes' monetary woes. 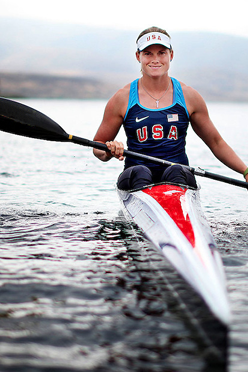 Just ask canoe sprinter Maggie Hogan. Two years ago, Hogan was ready to give up canoeing and kayaking. "My performances were slipping, and I really didn't feel like anyone had my back," Hogan said. "I felt like I was kind of going through motions and that there was no real drive." Fast-forward to the present day, and Hogan is the first canoe or kayak Team USA member to qualify for the 2016 Olympics in Rio. She is the same Maggie Hogan who works at GE and paddles competitively. But now, she is a lot better trained, and she did not spend thousands of dollars to get here. Maggie Hogan thought about giving up her sport a couple years ago. Now she's headed to the Rio Olympics. Hogan has a coach, Michele Eray, who instructs her from the shore. Inside Hogan's boat sits her second instructor, Motionize. Motionize is a device that sends real-time information about Hogan's performance directly to an app on her smartphone, which she keeps propped up in the boat as she paddles. 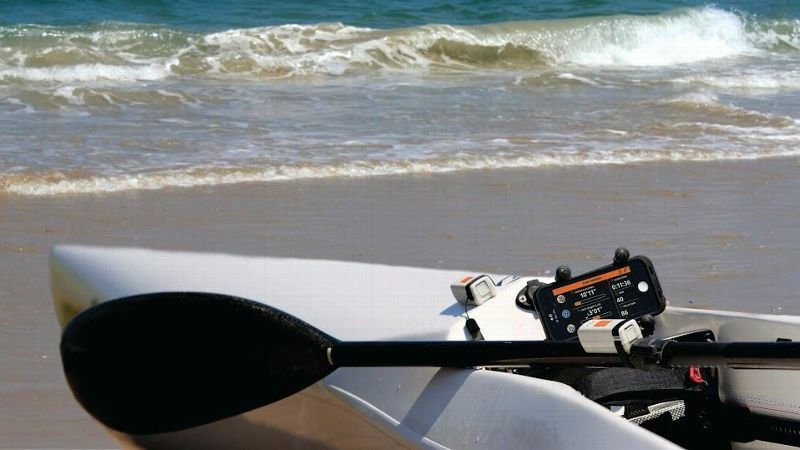 The Motionize system is the first virtual coach for canoeists and kayakers. 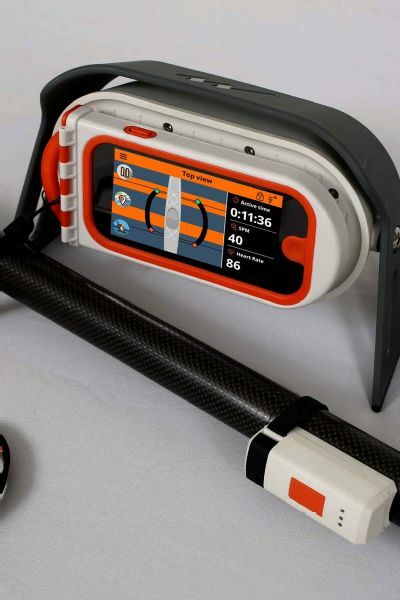 It uses two sensors, one on the boat and one on the paddle, and displays a complete view of the athlete's movements on the cell phone screen. Motionize CEO Guy Aharon said the device is unlike any sports tracking technology on the market because it doesn't just give the athlete information. "There are other sports trackers, sports motion trackers, and they all provide you with numbers," Aharon said. "We decided we wanted to improve those techniques and tell [athletes] the meanings of those numbers. Not just throw numbers at them but to tell them what they need to do with their bodies to be better." The system gives instant feedback, including stroke length, number of strokes per session, distance per stroke and strokes per minute, and it provides the ratio between a person's technique and the calculated correct paddling technique. This data allows athletes to see their faults and make instant improvements in training sessions. Hogan was introduced to the device after she and Eray met Aharon at a coaching conference. She began using the device and saw the benefits in her training. "[Motionize gives us] really specific stuff that we wouldn't be able to tell with the naked eye," Eray said. "It just helped refine and define what we try to do." Not only does the device help Hogan train, but also it helps her keep up with her competition. Many countries provide their Olympic athletes with expert training sessions and top scientists to improve their performances. Hogan is not as lucky as those athletes. "Our sport has lost all of its funding," she said. "So this entire lead-up to this Olympics this year has been done on fundraisers that Michele and I have done ourselves." Motionize allows her to train like those who have funding behind them without breaking the bank. "Having the Motionize really helps us to bridge that gap between us and the rest of the world because with this very simple device, we can ask the questions that these multi-million dollar federations are asking, and we can get feedback as well," Hogan said. The Motionize Paddle Edge cost $249 and is catered to "weekend warriors," according to Aharon. For more advanced paddlers such as Hogan, the Motionize Paddle is offered for $499. It's a one-time payment, compared to several payments to employ trainers and be a part of an elite sports club. A Motionize sensor attached to a paddle and the Motionize app on a mounted smartphone. Some professional leagues already use motion-tracking devices regularly. FIFA approved the wearing of electronic performance and tracking devices in matches in July. Catapult Sports, which has contracts with almost 100 soccer teams worldwide, is also giving athletes a cheaper training alternative. The device, strapped onto a player's back, uses GPS to track the movements of the athlete. The Golden State Warriors currently use Catapult Sports devices to monitor acceleration, force applied on the knees and ankles, changes in direction and heart rate. After these devices reported decreased levels of intensity and acceleration in players before a road trip, Golden State's director of athletic performance, Keke Lyles, realized many of the players needed more rest. The National Hockey League (NHL) also utilizes Catapult Sports devices to track players' movements, including how much force is sustained in a hit. The data can help catch early injuries and reduce others. Trace is a similar sports motion tracker designed for water and snow sports. The device tracks speed, jumps, turns and calories and edits action footage. In April, Trace made history at the Oakley Lowers Pro World Surf League event, when it collected data over six months to predict wave patterns and performance trends prior to the surf competition. Warriors point guard Stephen Curry made headlines when he was seen doing dribbling drills while using strobe glasses made by Accelerate Basketball Training. The glasses impair the wearer's vision as he or she dribbles a basketball. When the visual stress is taken away, the player's reaction time will increases. These technological devices can give athletes in lower socioeconomic situations a chance to compete with more affluent athletes. With these affordable devices, athletes can get at a reduced cost almost the same training and resources that top trainers and athletic clubs charge top dollar for. At the same time, the devices are creating better instructors. As Eray pointed out, technology is meant not to replace coaches but to help coaches. 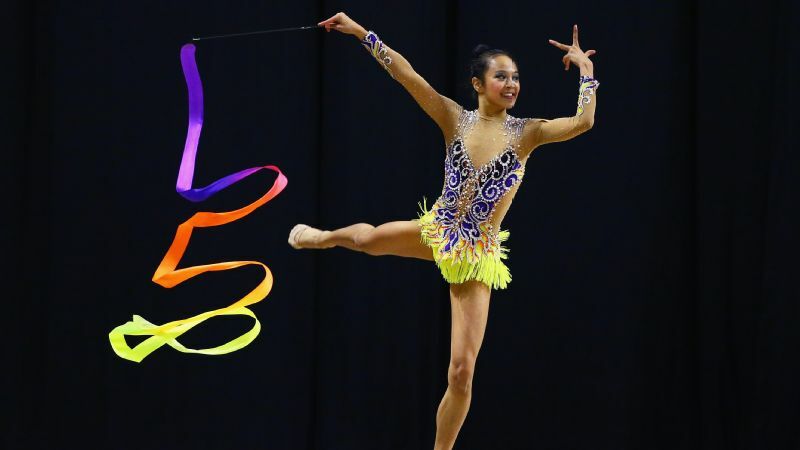 "You are sending back feedback to a coach who is not necessarily with you, and that kind of opens it up to I can coach someone who lives in Hong Kong or someone who lives in California," Eray said. "I think that is the beauty of this technology. I don't think it will ever replace the coach. It will basically help you coach more people." It also allows coaches to coach more efficiently, thanks to detailed training reports and instantaneous correction. With better coaching and better training, sports technology is creating better athletes. People no longer have to spend thousands of dollars to be the best. "The best" is packaged into technological devices that fit in a gym bag. These products are making training sessions more economical and thus taking the focus off how much money one is willing to spend and putting it back on how much talent a person has. It's yet another example that talent always seems to win in the world of sports. 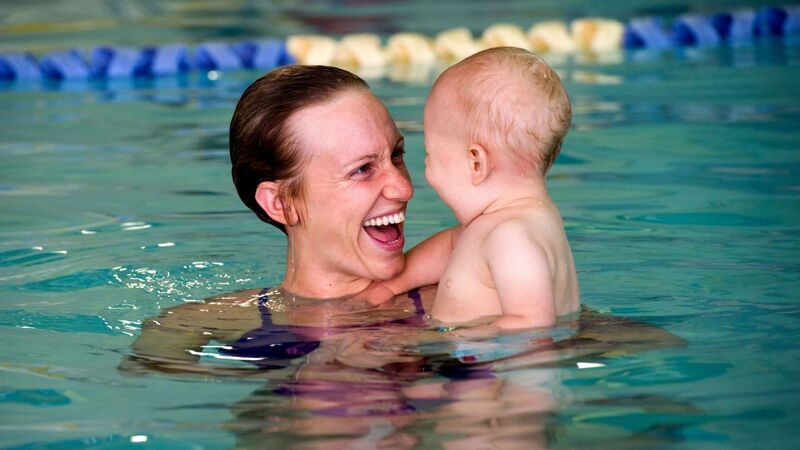 Can Dana Vollmer do what no other swimmer has done?